I finished this a while ago but forgot to add my review. This did take a rather long time to read, getting pushed aside and dipped back into and finally one last push to finish it. 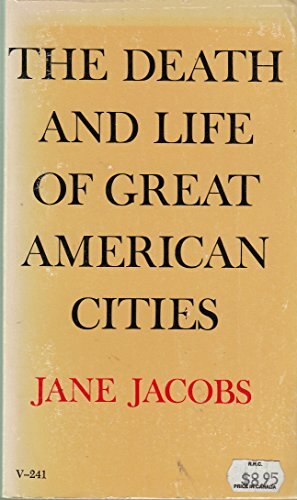 I know it is an important work in urban planning and I had been curious to read it and, overall, I am glad that I did but it was rather long and not always particularly interesting. Her opening sections I found fascinating and agreed with much of what she was saying about cities and how they function in reality, as opposed to the visions of planners. But the middle sections of details started to feel more like a gentrified vision of cities. I still got some good takeaways from it but it was not quite as inspiring as I expected. I certainly saw her fiery spirit and how it would be quite a battle to go up against her. I released this a bit ago but I think it is still there. Left at a cute Little Free Library. Hope someone will find it and make a journal entry!